At first glance, it may seem as though student loans are tailored exclusively forpicture perfect students -those whoseexpected contribution includes good credit. This idyllic image is not a reality for all loan applicants.At the onset of your college years, you may not have much of a credit history at all, which can make it difficult to secure loans to pay for school. One false solution comes in the form of risky high-interest loans, with unbearable interest rates that set you up for failure. Unusual terms or commitments are clues that a loan might not be on the up and up. 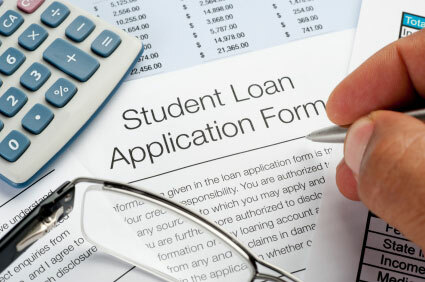 If you are not sure what to make of a student loan offer, consult with a professional who is familiar with a variety of loan types. A short, but positive credit history is better than nothing, so put your best foot forward when asking for student loans- even if your greatest fiscal feat is paying the utility bill on time. In many cases, your credit performance is considered alongside your parents, so even a short track record of responsible credit behavior can bolster your overall score. 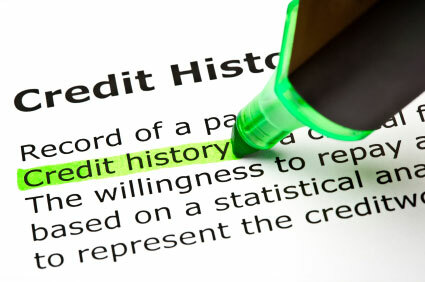 If you have credit strikes against you - perhaps from a late car payment or delinquent credit card bill, all is not lost. There are student loans available that do not require pristine credit. In fact, there are waysto get student loans with no credit check at all. Most of these loans are issued by government agencies, so the first step is to submit a Free Application for Federal Student Aid (FAFSA). The standardized application for financial aid determines your need for financial assistance during college. Student income, parental income and assets, and family size are used to calculate your Expected Family Contribution (EFC). Your EFC is then used to create an individual Student Aid Report (SAR) that spells out your college financial aid needs. When your credit is tainted or non-existent,one way to secure funds is to add a cosigner to your loan. Your cosigner shares responsibility for the debt, even if you are going to repay it. The FTC requires that lenders include a strongly worded message with any loan offer that includes a cosigner. The notice reinforces a cosigners understanding of his or her legal obligations related to the loan. Once you have submitted your FAFSA, you are automatically considered for several federal loans that require no formal credit check. Government-backed financial aid is one of your best options when it comes to educational financing; especially when your credit is inadequate. Grants and scholarships provide funds that don’t require repayment, so they are great financial-aid features, but even free-money recipients often require supplementary loans. Federal loans options include Stafford Loans and Perkins Loans. Stafford Loans are available for undergraduate and graduate studies, with a maximum yearly award of $20,500 per graduate student. Undergraduate students who include parental information on their FAFSA are considered “dependent” students. If you are an “independent” student, yourparents’ income is not factored into your FAFSA, and your annual Stafford Loan limits are higher. The maximum annual loan award for undergraduate students is $5500, with a lifetime loan maximum of $27,000. Graduate students may borrow up to $8000 yearly, with a $60,000 lifetime cap. Perkins Loan repayment starts 9 months following graduation, and interest rates are fixed at 5%. PLUS Loans are federally backed supplemental loans used to augment other financial aid offerings. The loans target graduate students and parents of undergrads. PLUS loans are credit-based, sostandard credit checks are used to determine eligibility. Cosigners can be added to bolster your parents’ credit score, so willing aunts, uncles and grandparents can sign-on to help finance your education. Applying for loans that require no credit check means that you are going the federal route. Follow instructions precisely, and file applications on time if you expect to qualify for federally backed student loans. The FAFSA is where you start, but if you qualify for a federal loan, you may need to apply to the loan itself.Your financial-aid award letter contains lender suggestions. If you intend to use private loans to help fund your education, you will need a cosigner. Educational informational company Edvisors operates www.PrivateStudentLoans.com to help you gain access to the nation’s leading private lenders. More recently some P2P financial marketplaces like Credible have also moved into the student lending market. Partnering with a private lender can be achieved directly, or with the help of your school’s financial aid office. You are free to apply individually, but with a cosigner attached to your loan, your chances for approval is higher, and interest rates may be lower. Having a limited credit history or marred credit should never prevent you from going to college. You may work harder to secure the financing you need, but there are options for financing your education.